Error: Your donation failed to process. Please verify your payment information and try again. Yes, make this a recurring MONTHLY DONATION. Choose "In Memory of" only if the person you are honoring is deceased. 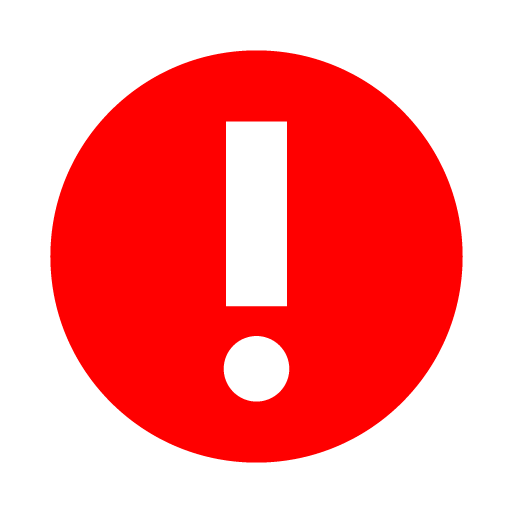 Type your message here Error: The maximum length of your message is 255 characters. E-Card Message* Error: The maximum length of your message is 255 characters. The E-Card is a digital version of our printed card. 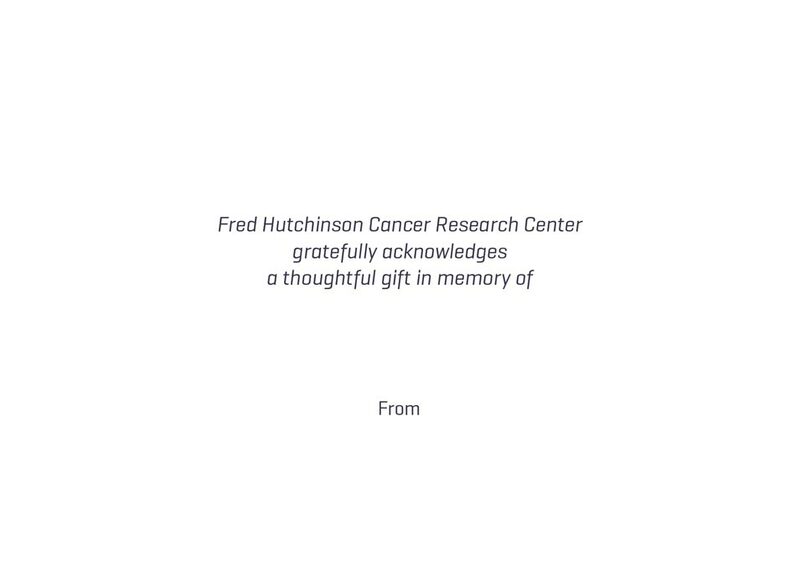 Amazon Payments is the secure payment for the Fred Hutchinson Cancer Research Center. Learn more about Amazon Payments. Amazon Payments protects your privacy and security. Yes, I would like to receive emails from Fred Hutch. Include spouse/partner name with the donation. 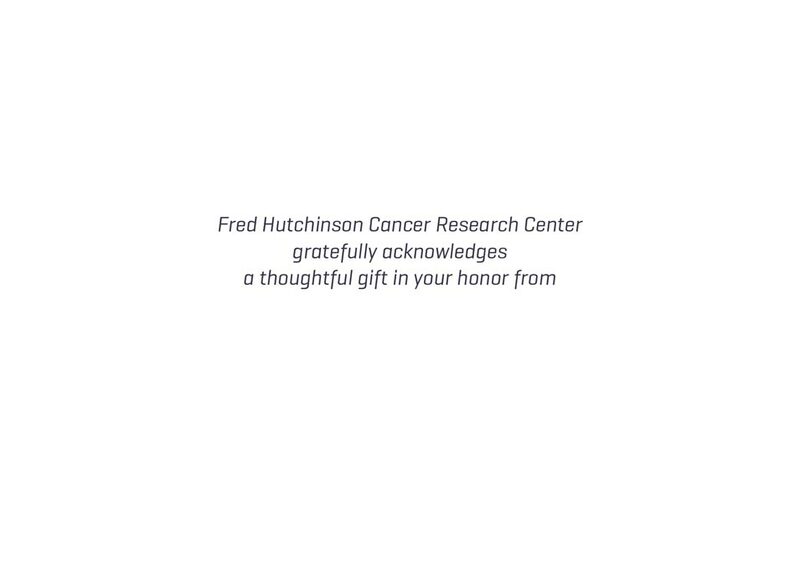 Your gift to Fred Hutchinson Cancer Research Center fuels our commitment to finding cures for most, if not all, cancers by 2025. You will receive periodic updates from us about the groundbreaking research and progress your support makes possible. You may unsubscribe at any time. 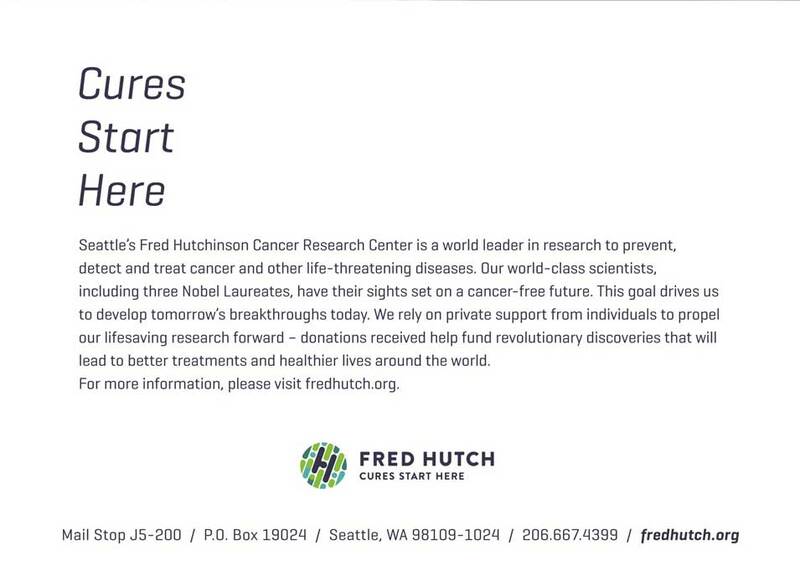 Thank you for your generous support of innovative and lifesaving research at Fred Hutchinson Cancer Research Center. You will receive an email shortly confirming your donation. 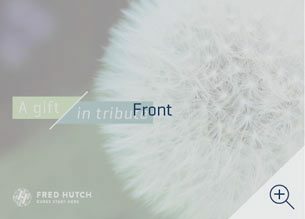 Each day Fred Hutch scientists strive to advance our understanding of health and disease in an effort to save lives faster. Knowing that you share our belief in the power of world-class biomedical research to save lives encourages us in our pursuit of discovery. 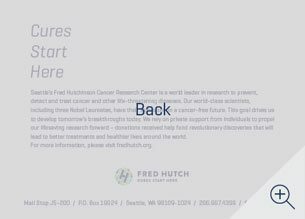 If you have any questions about your donation, please contact Annual Giving at annualgiving@fredhutch.org or 206.667.4399 or 1.800.279.1618. 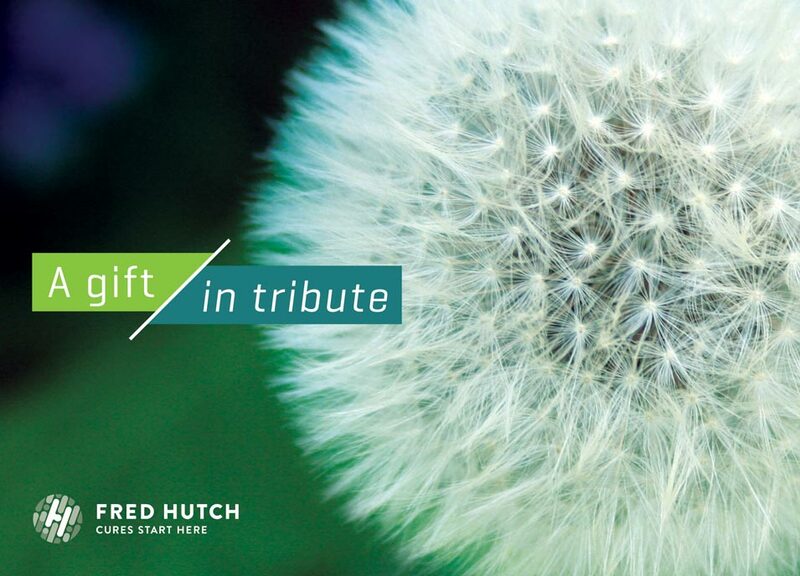 Your employer may match your gift to Fred Hutch. Enter your employer's name in our search box to find out if your company or organization has a matching gift program. Please print or save this message for your personal records. 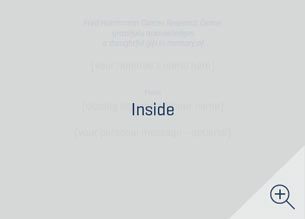 © Fred Hutchinson Cancer Research Center, a 501(c)(3) nonprofit organization.